Today, the first thing many of my students do after the final bell dismisses them for the day is scurry to their locker to get their cell phone out so they can check their text messages, social media accounts, and maybe play a game. (Old man alert in 3…2…1…) Back in my day, we didn’t have cell phones. As a kid, this was the coolest thing I had in my bookbag, and it made the long bus ride home from school go by much faster. It was black pixels on a green screen, but it was awesome. The last video game system that my family owned was Wii Sports. I was either in college or recently graduated from college when my parents bought Wii as a sort of in-house party gaming system for the whole family to enjoy. Because we were all older, our time for video games was much more limited, but the one game that brought out the competitor in all of us was Wii Sports. 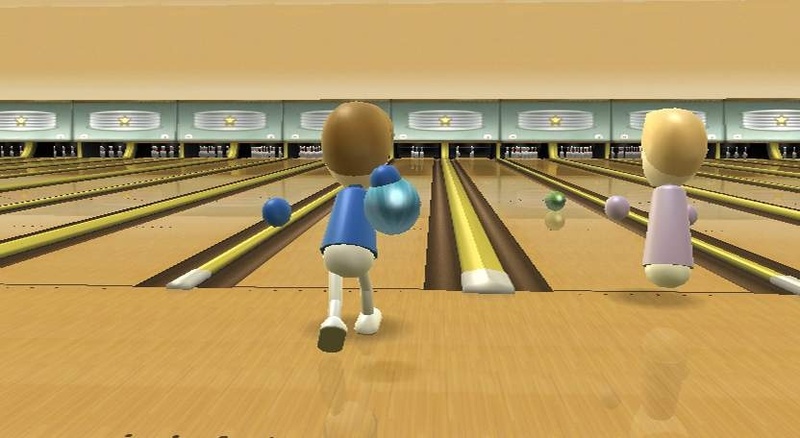 Whether it was baseball, bowling, boxing, golf, or tennis, the Wii’s native interactivity made it a perfect family party game that anyone could join in and play. The Odyssey² controller was essentially a block with a joystick and one red button. The games were very simplistic in terms of graphics and gameplay, but it’s simplicity was its charm. Avoiding boulders, climbing ladders, collecting keys, entering doors that lead to new levels: Pick Axe Pete had it all! More than a decade after Pick Axe Pete was a thing, Power Pete arrived for the Mac OS 7. Computer games were much more prevalent for the PC than the Mac, so Power Pete was a breath of fresh air. 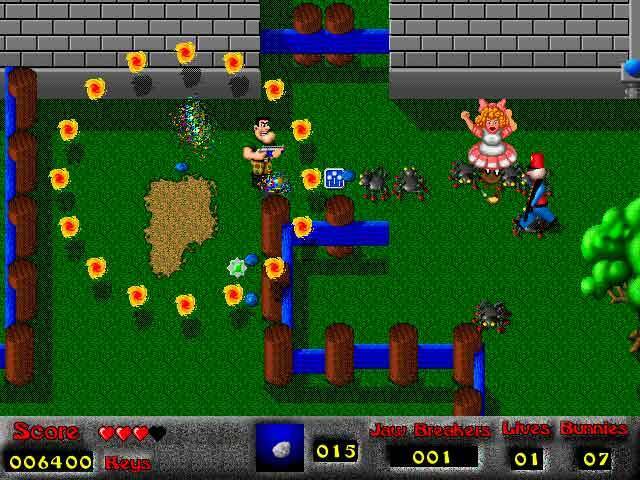 As far as shooter games go, this one definitely fell on the tamer side as Power Pete spent the game shooting bad toys and rescuing fuzzy bunnies. I specifically remember playing this game at my Aunt Julie’s house. She also had a legit arcade game in her basement! 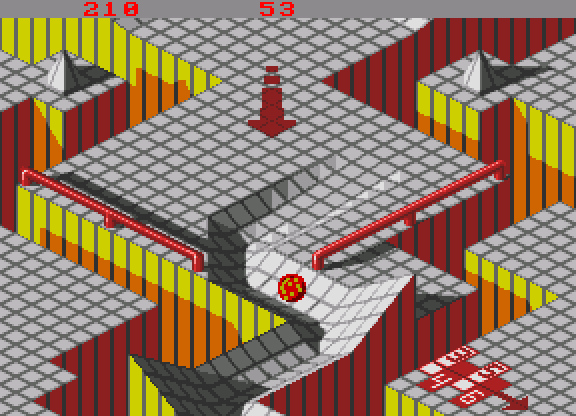 However, Marble Madness was my game of choice when playing Sega in her back room. Keeping that marble on the path was significantly more difficult than it looks. I never actually owned a Sega system, which is why you won’t find Sonic the Hedgehog anywhere on this list, but Rocky is the second Sega game to make the list. I played this one upstairs at my cousin Tom and Keith’s house. I’ve already mentioned my love of the Rocky movies, so trying to emulate what I saw on the big screen was always a fun challenge. I believe it was my neighbor Steve who first introduced me to Kirby’s Adventure. 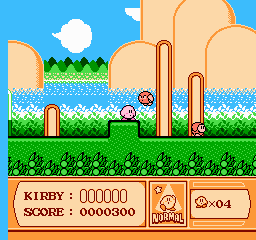 Kirby is the pink blob title character of this platform game for Nintendo. Kirby is no Mario or Luigi, but he is a second-tier classic character. I already wrote about American Gladiators as one of my favorite TV shows. The NES game was fun, and the SNES game was even better. 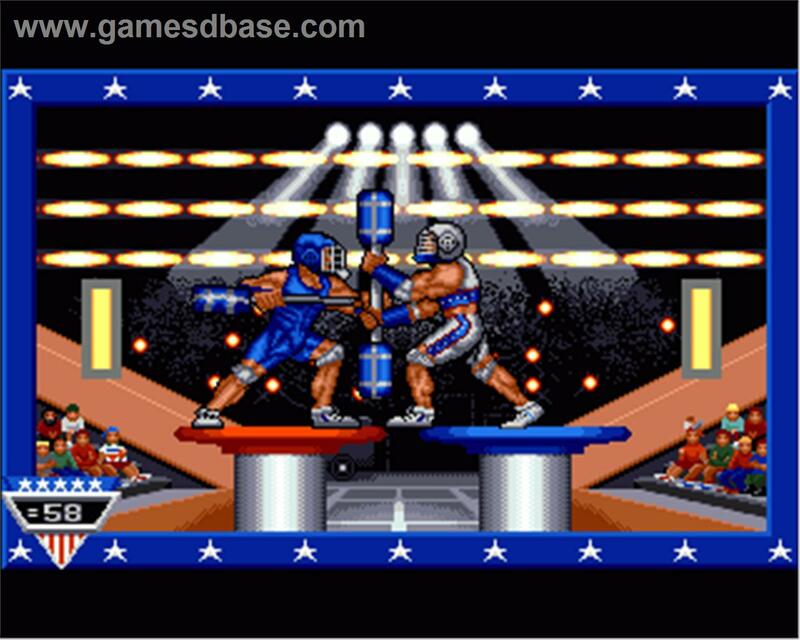 Both games left some things to be desired—notably, the ability to choose from actual contestants like Wesley “Two Scoops” Berry —but the ability to play through many of the famous American Gladiators events was the next coolest thing to actually competing. 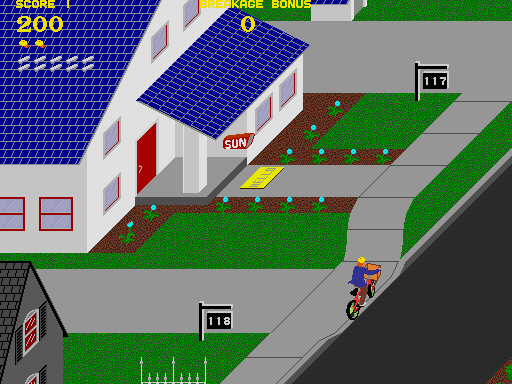 Delivering newspapers door to door was never as interesting to me as playing the video game version where you are credited not only for delivering to subscribing households but also for knocking down trash cans, breaking windows, and various other tasks that would seemingly get the paperboy fired. My brother Mike owned Sega’s handheld console Game Gear, which was better than Nintendo’s original Gameboy simply because Game Gear’s games were in color. Aladdin, another one of my favorite movies, translated pretty well as a video game. 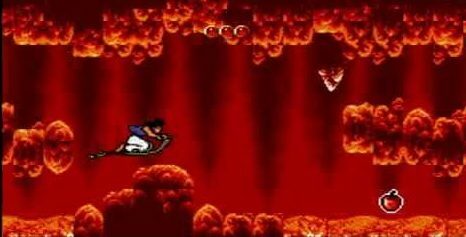 Flying the magic carpet to escape from the cave of wonders was probably my favorite part of the game. Admittedly, I am not the world’s biggest soccer fan. I played soccer growing up from roughly kindergarten until I was in 7th grade, but aside from the World Cup and maybe the Olympics, I don’t really follow the sport. 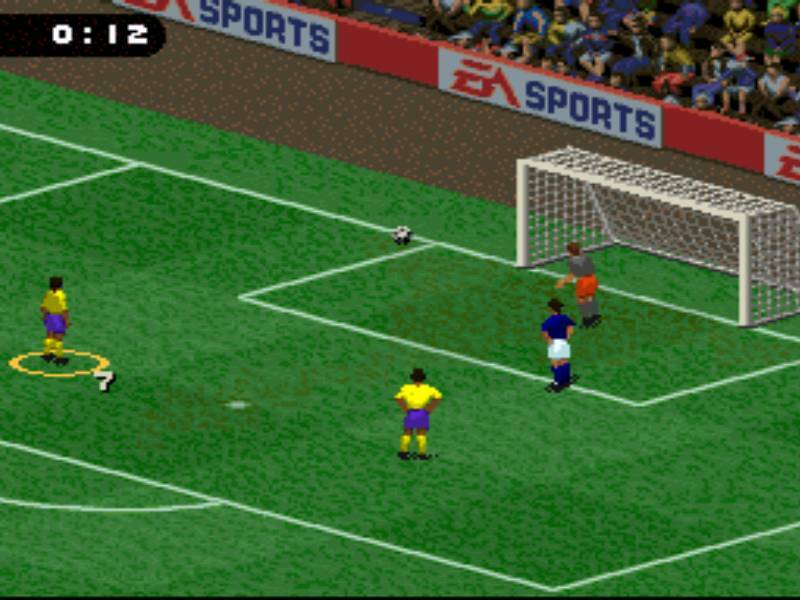 Nonetheless the FIFA Soccer games were always fun to play. Although I played other years of the series, the 1996 edition for SNES was the only one I ever owned, so it gets the lone recognition on this list. 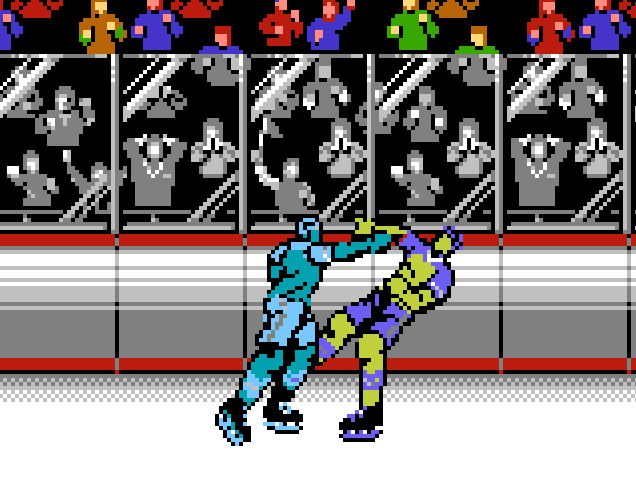 The gameplay of Blades of Steel is…not great. However, there are two aspects of Blades of Steel that make it a great game. The first is fights. Ram two players together over and over and the game will break off into a separate fight screen that was built in to the game. Secondly, the shootouts are a ton of fun. Unfortunately, there is no way to go straight to a shootout, so you have to play through a game and make sure it ends in a tie. Fortunately, the clock runs extremely fast. The shootout sequence is worth the wait though without a doubt. 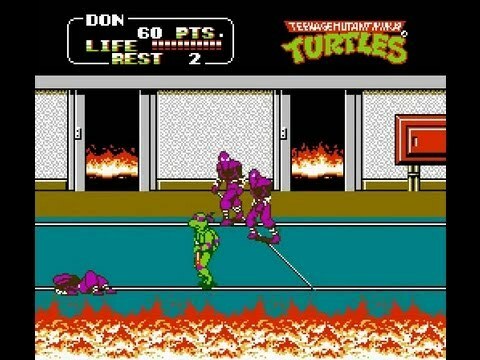 The original Teenage Mutant Ninja Turtles video game was OK, but definitely the weakest in the trilogy as far as I’m concerned. This sequel was a dramatic improvement. 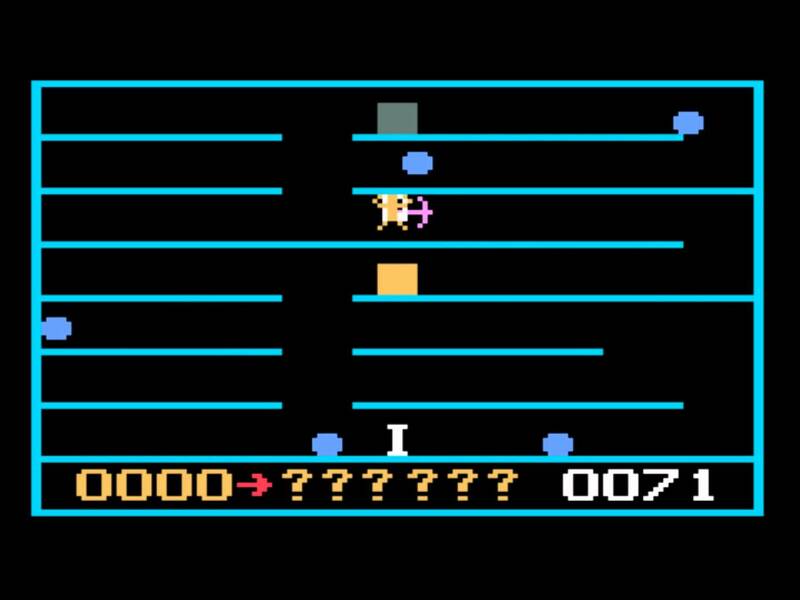 The arcade game style made it easy to jump in and play without a steep learning curve. Long before Wii Sports, the NES Power Pad allowed video gamers to actively participate in video games. 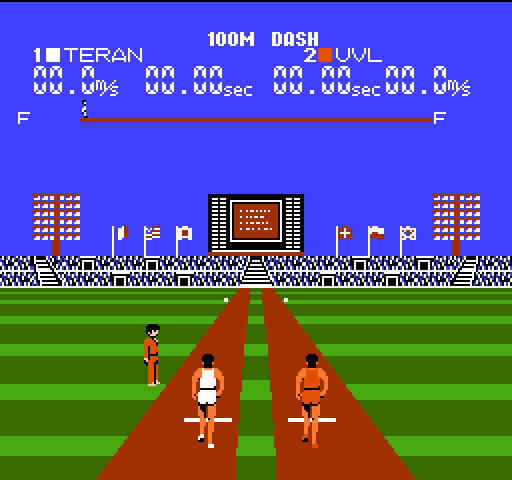 I vividly remember playing the Stadium Events game at my cousin Brian’s house, working up a sweat as I sprinted and jumped on the Power Pad’s blue and red circles. This game was truly ahead of its time and it defied the old adage of video games only being for overweight slackers. Over the years, I have played Tetris on handheld gaming systems, traditional gaming systems, computers as well as on my phone and iPad. 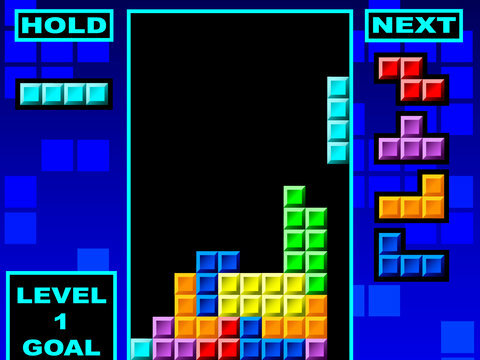 Tetris has to be in any discussion of the greatest video game of all-time. The game debuted in 1984, the same year I was born and has since been played on almost every video game system imaginable. While variations of the game have come throughout the years, the basic concept has remained the same. Various four-block shapes fall from the top of the screen and the player has to rotate and drop the pieces into place to try to fill in the rows to clear them, The simple concept is extremely addictive, and the feeling of joy/relief/excitement when you get the right shaped piece at the right time is hard to describe. There are numerous reasons why Top Gear is my favorite traditional racing game. The music, the nitrous oxide speed bursts, the strategy of when to fill up the tank for gas—Top Gear is a fun game to play solo or with a friend. 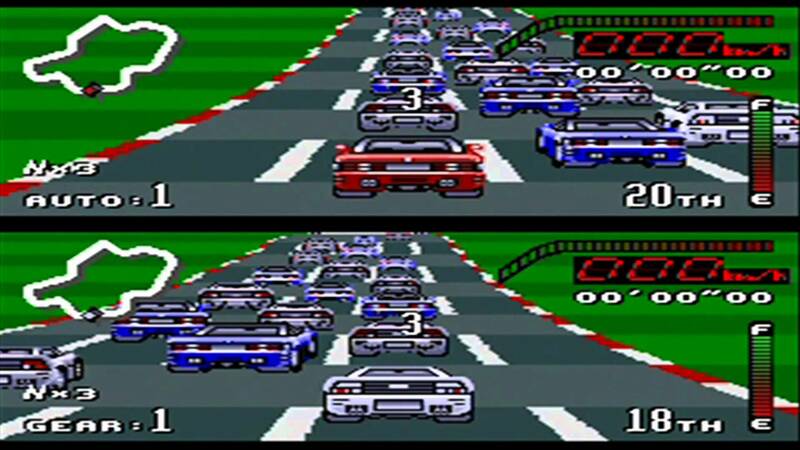 Racing the circuits and trying to stay atop the leaderboard was always an enjoyable challenge. NBA Jam was an arcade classic. 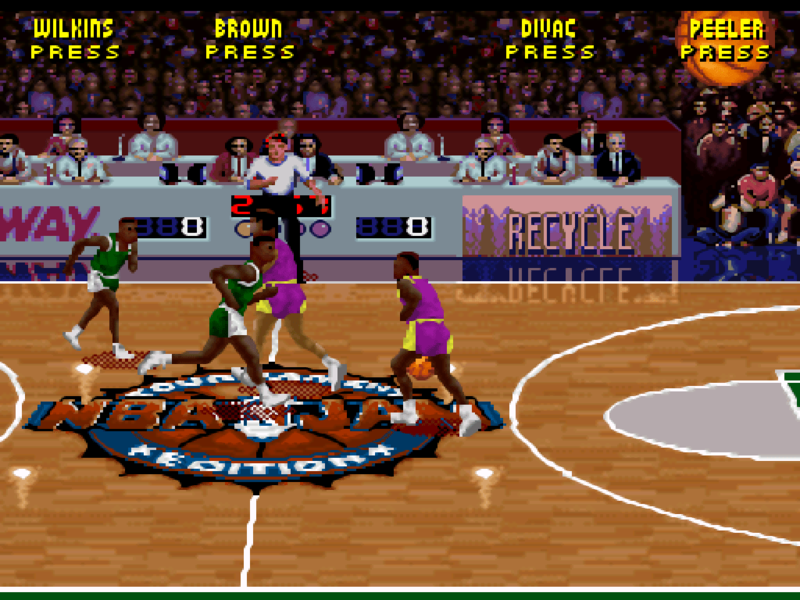 In place of a hyper-realistic basketball simulation, NBA Jam accentuated the most exciting aspects of basketball—the slam dunk, the 3-pointer, the blocked shot—with some razzle dazzle. Make three shots in a row and your player is on fire, complete with flaming ball and scorched net. The Tournament Edition version was even better with expanded rosters, although for some reason that game was without Michael Jordan and Shaquille O’Neal. I decided to break Super Mario World off as its own separate entry because the SNES version of Mario was indeed a whole new game. 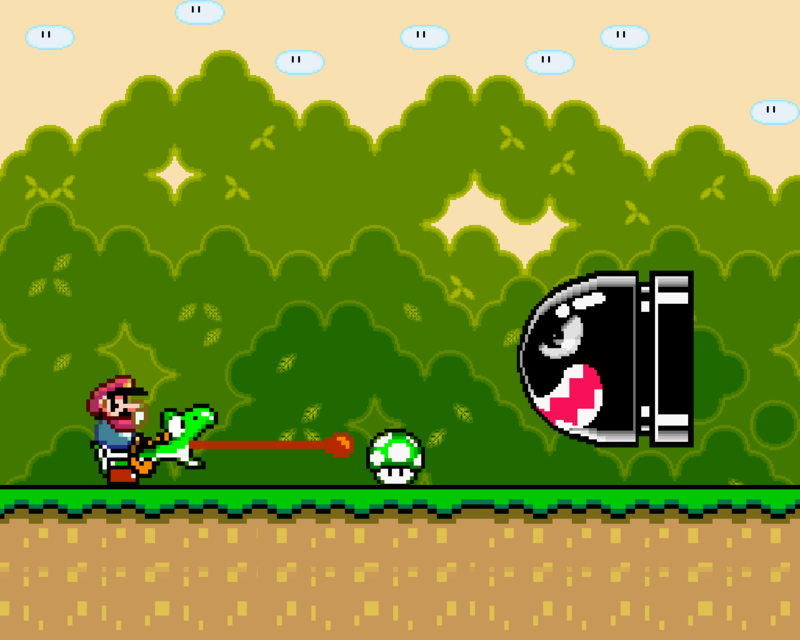 The addition of Yoshi was one of the coolest aspects of the SNES game, which remains fun to play to this day. It’s not quite the all-time classic as the NES series, but it’s right up there. 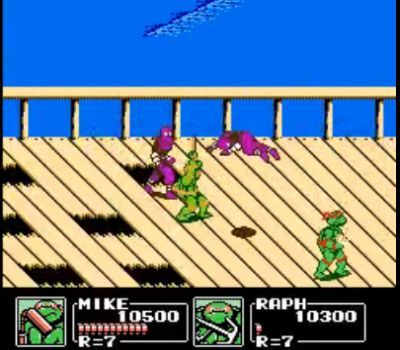 The third time was definitely the charm when it comes to the Ninja Turtles video games. The different scenes where the Turtles fought were so cool. This game was especially fun to play as a team, battling together to take out the Foot Soldiers and the rest of Master Shredder’s clan. When it came to baseball games, Nintendo had a lot to offer. There was Roger Clemens’ MVP Baseball, Bo Jackson Baseball, and Bases Loaded. R.B.I. Baseball was arguably the most popular. 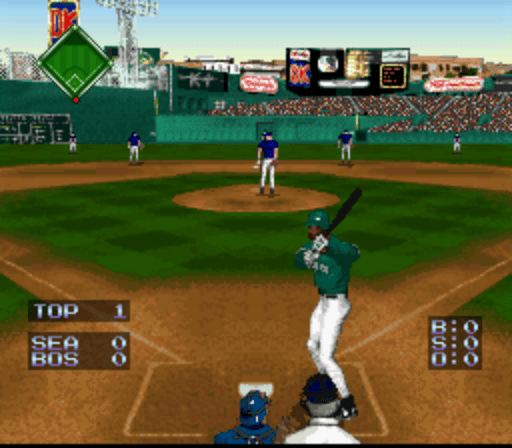 However, for me the most exciting baseball video game was Baseball Simulator 1,000. Contrary to what the name implies, the best part of the game was not its ability to simulate real baseball. 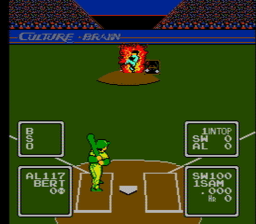 Instead, the fun came in using the ridiculous power ups that each batter, pitcher, and fielder possessed when you chose one of the teams from the Ultra League. Want to hit a laser line drive that will take any fielder who gets in the way all the way to the fence? Check. Want to pitch a ball that will actually stop halfway to the plate? Check. Want to leap hundreds of feet into the air to rob a would-be home run? Check. Just be sure to use your ultras carefully because they run out. Oh yeah, you can also place a game in a stadium in outer space! My students are always talking about NBA 2K, which apparently is the basketball video game today. Back in my day, the basketball game was NBA Live. The first edition I owned was NBA Live 96 for SNES. 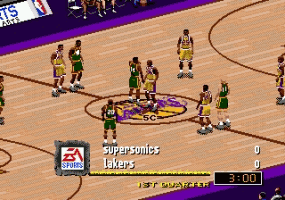 I also owned NBA Live 97 for SNES. Later, I owned NBA Live 99 and 2000 for PlayStation. I think I may have also owned NBA Live 2005 for PS2, but I am not certain. In any case, NBA Live was a dream for me because not only did it allow me to play on the court with my favorite players and teams, but it also gave me the opportunity to play the opportunity to be a general manager with features like free agency, trades. Plus, the create a player option enabled me to create myself as an NBA star. 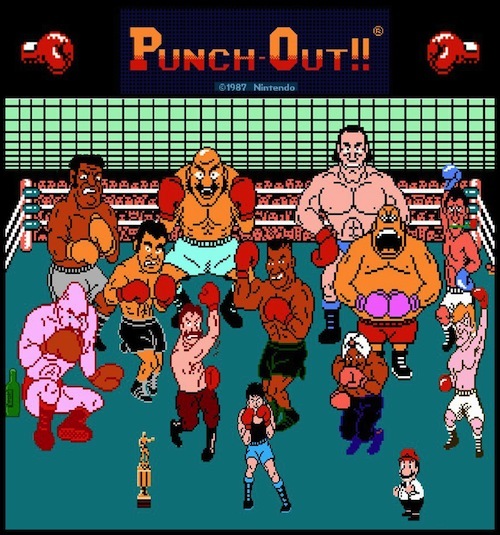 The cast of characters in Mike Tyson’s Punch-Out is phenomenal. 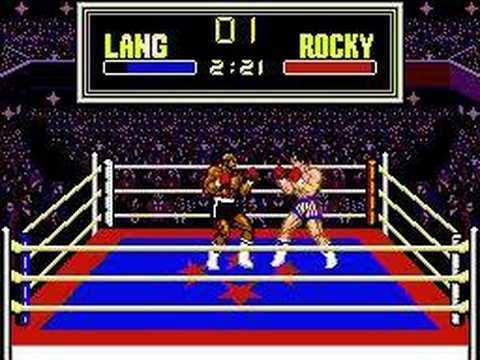 The player you control, Little Mac, is a Rocky-style underdog who has to work his way through the likes of Glass Joe, Soda Popinski, Piston Honda, and King Hippo, until eventually challenging Mike Tyson in the final bout. To this day, I have yet to knock out Tyson, but I have successfully defeated the rest of Little Mac’s opponents. I also like that Mario serves as the referee throughout the bouts. I decided to lump the three NES versions of Super Mario Bros. together even though they are each unique (mostly because I wanted to squeeze a few more games onto this list). 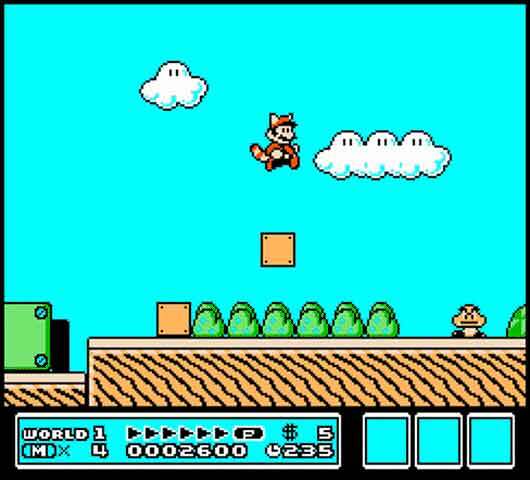 If I had to pick, Super Mario Bros. 3 would be my top choice, followed by the original, followed by Super Mario Bros. 2, but I would have no problem launching any one of the Super Mario Bros. games today and playing for a few hours straight. Putting Donkey Kong Country over Super Mario Bros. might be the biggest upset on my list, but the SNES Donkey Kong Country trilogy was revolutionary. The 3D-style graphics were state-of-the-art at the time. I remember watching a documentary about the making of the game, and I was hooked. The two sequels to the game that followed were tremendous as well as Diddy Kong, Dixie Kong, and Kiddy Kong took on highlighted roles. 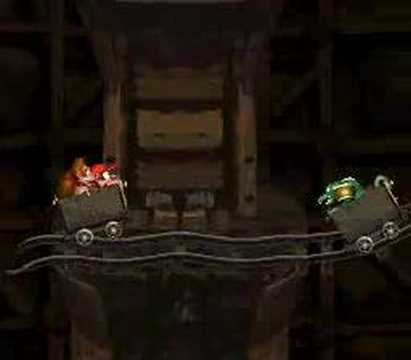 If I had to pick one platform series to play again as an adult, Donkey Kong Country would be my top choice. In fact, as I was compiling this list I (surprise!) played many of these games quickly just to remind myself of some of the reasons I enjoyed them, and Donkey Kong was arguably the one that I had the hardest time stopping. Top Gear is a good racing game, but Super Mario Kart is hands down the most fun racing game I’ve ever played. 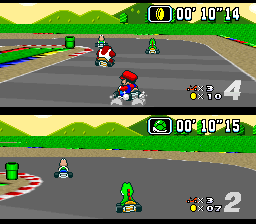 There is something truly captivating about racing around the track as Mario, Luigi, Yoshi, Princess, or one of the other available characters, battling for position and using red shells to knock the leader’s car out of first place on the final lap. The varying levels of competition make it a game that can be played with anyone from beginner to expert, and it’s sure to bring out the competitive spirit in anyone who plays. I decided to lump WWF video games into one broad category because there were so many that would have made the list. The first WWF game I ever owned was WWF WrestleMania, and it was pretty basic. However, by the time WWF Royal Rumble was released for SNES, the graphics and gameplay had improved to a point where the game became a personal favorite. Then, once we got PlayStation, things really took off with WWF War Zone , WWF Attitude, and later WWF SmackDown! 2: Know Your Role. I spent hours playing these games as my favorite wrestling personalities, and the Create-a-Wrestler feature allowed me to spend additional time bringing legends from the past back to life. I’m pretty sure if I was a kid during today’s WWE 2K era, I would spend all of my time playing video games because the modern graphics are unreal. The final four games on this list deserve a special recognition. These are the four classics that my brother Mike and I come back to again and again to play even in our adult years. Not surprisingly, all four of them are sports games. Coming in at number four is Ken Griffey Jr.’s Winning Run. Despite the fact that Griffey was the only player who had his real name licensed for the game, this remains my favorite baseball game. The players had goofy names, but everyone knew that Bolt Lightning was Randy Johnson and Muscles McFee was Barry Bonds. Personally, I always made sure to draft or trade for Tony Tollony (Mike Piazza). The gameplay of Griffey is very smooth, and there is enough strategy involved with how to alter pitches and swings that it makes it a challenge. The stadiums designs are all different. The announcer screaming HOME RUN! always gets me pumped. The home run derby option is a cool wrinkle. There is a lot to love about this game. I have never been a huge hockey fan. The NHL season overlaps almost entirely with the NBA season, and basketball has always been my favorite sport. However, there was a brief period in the early 90s when my next-door neighbor Zach, himself a big hockey fan, got me interested in hockey. We watched The Mighty Ducks together, skated on roller blades for some driveway hockey, and played NHL ’93 for Sega Genesis, which was the system he had at his house. 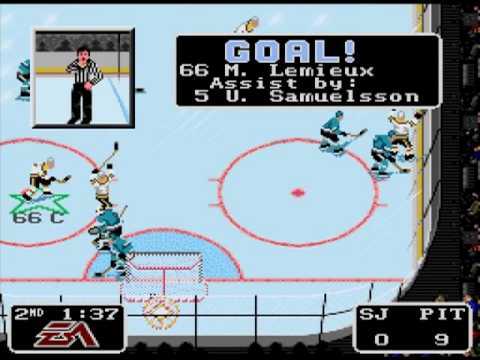 Soon thereafter, I got NHL ’94 for Super Nintendo. 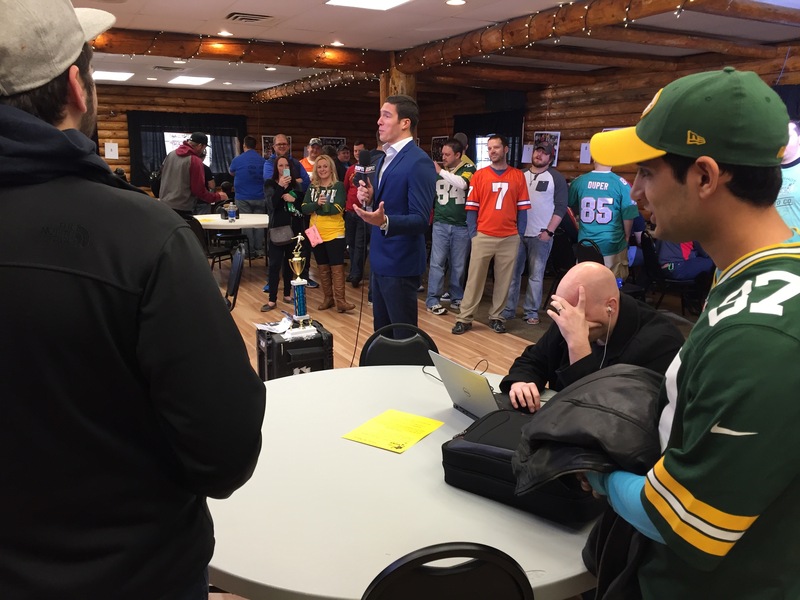 Zach, Mike, and I drafted teams and played through our own makeshift season. We developed some serious team loyalties through that process. To this day, in addition to the Penguins, I always gravitate toward Pelle Eklund and the Flyers, Guy Carbonneau and the Canadiens , and Dave “Meanie” Ellett and the Maple Leafs, while Mike likes the Flames and Bruins. Zach, if you’re out there, I’ve got a controller and the Red Wings with Keith Primeau all set up waiting for you for a blast from the past showdown. There were other games that I lumped together on this list, but the genesis of my decision to lump some games together was Madden. If my memory serves me correctly, I/my family owned Madden NFL 94, 95, and 96 for SNES, Madden NFL 99, 2000, and 2001 for PlayStation and Madden NFL 2002, 2003, 2004, and 2005 for PlayStation 2. All of those editions would have made the list. Madden 94 has a special place in my heart because it was the first one I owned, it featured a lot of historic teams, and for some reason Mike and I established an epic Falcons-Eagles rivalry where Roger Ruzek became as infamous as Scott Norwood. 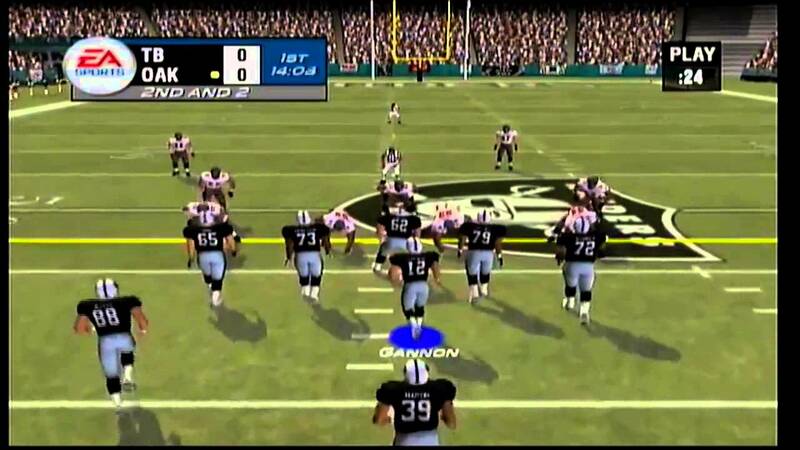 However, when Madden introduced the franchise mode for PlayStation, it was a literal game changer. I cannot begin to tell you the amount of hours spent playing through season after season in franchise mode. Mike and I usually picked teams in the same division so that we would square off twice in the regular season, and those head-to-head battles were epic. I’m still not convinced he didn’t use cheat codes though because he always seemed to come out victorious at playoff time. As far as I’m concerned Tecmo Super Bowl is the greatest video game ever created. When the game was first released it was revolutionary because it was the first game to have procured licensing from both the NFL and the NFLPA. That meant that both the teams and the players’ names were in the game (well, except for QB Bills, QB Eagles, QB Browns, and Eric Dickerson). 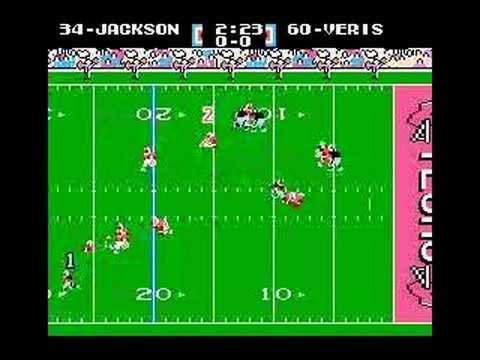 Tecmo Super Bowl’s Bo Jackson is arguably the most famous video game football player of all-time. In fact, Tecmo Bo is a big reason why I became a Raiders fan. 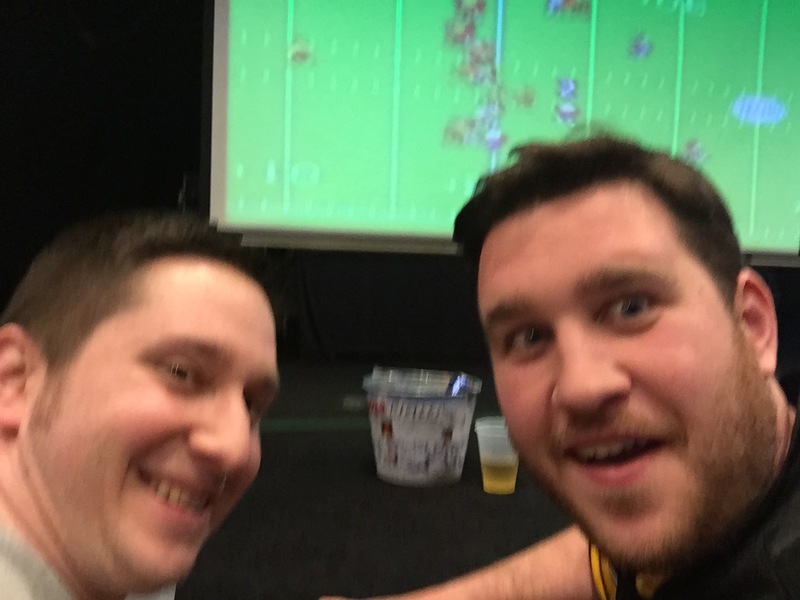 Yet As much as I loved Tecmo Super Bowl as a kid, the game has only grown in prestige in recent years as Mike and I regularly do battle in brother vs. brother tournaments when we visit each other. SportsCenter broadcasted a segment live from Badger Bowl, the home of Tecmo Madison XII. 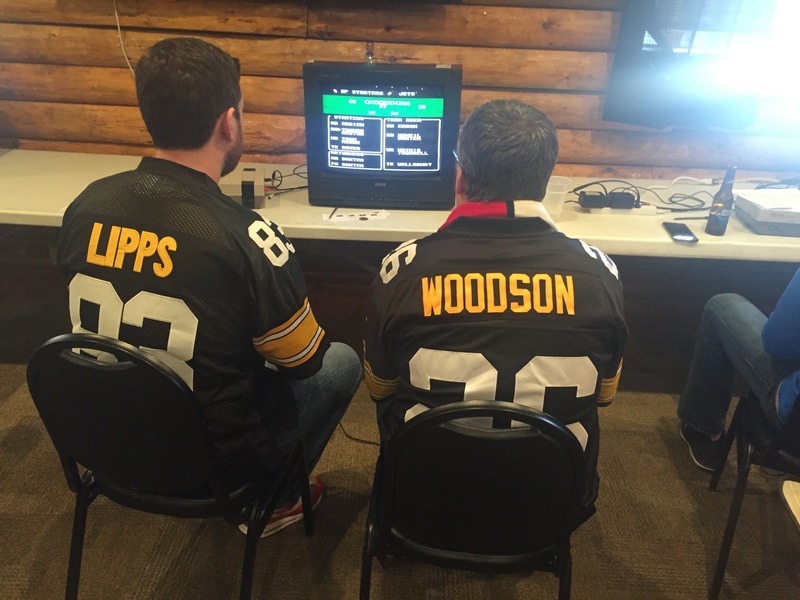 I wore my Bo Jackson T-shirt and Mike donned his Louis Lipps jersey for our Tecmo Madison debuts. Tecmo Super Bowl’s graphics are laughable when compared to the Madden games of today, but whereas Madden’s controls complicated, Tecmo Super Bowl keeps it simple. The playbook consists of eight plays per team (four runs and four passes). There are only two buttons to worry about. It’s true that can pick up a controller and play, but as Mike and I found out, being good at Tecmo Super Bowl is about skill more so than luck. Mike’s first opponent also happened to be wearing a Steelers jersey, which seemed like a good omen for him. 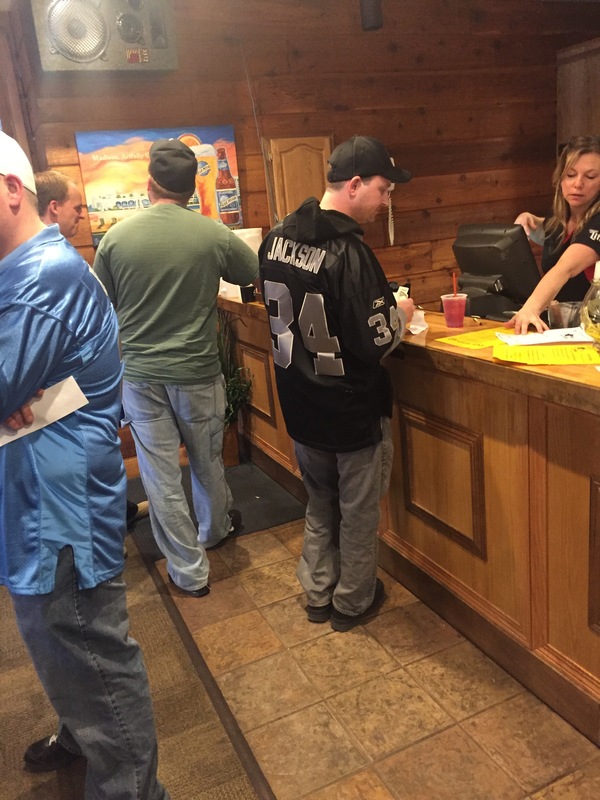 If only this guy in the Bo Jackson jersey had been my first opponent, perhaps my day would have gone differently. 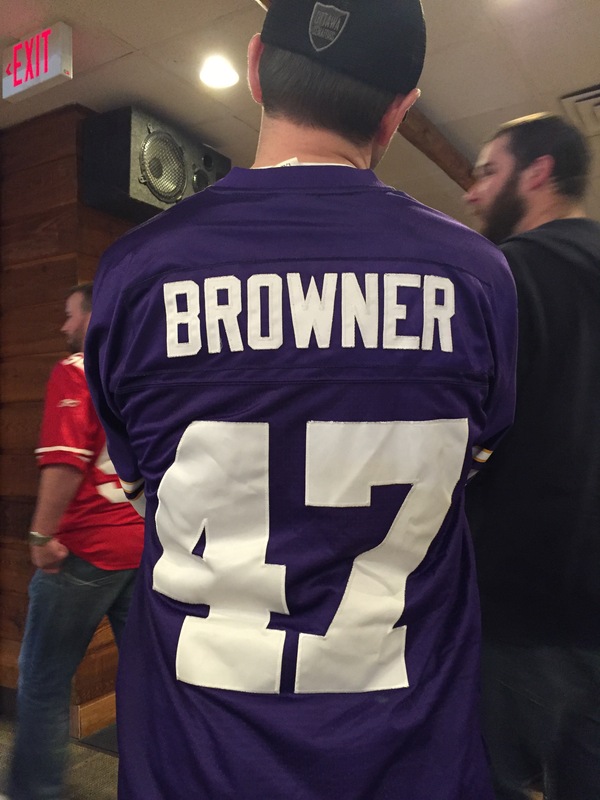 My favorite jersey of the day was this Vikings jersey though. Joey Browner has won me many Tecmo Super Bowl Tournaments against Mike over the years. On the bright side, we had front row seats for the championship game, which they projected onto the big screen. Here is a crowd shot after joeygats’ Chargers successfully defeated The Kid’s Steelers 14-7 in the championship game. 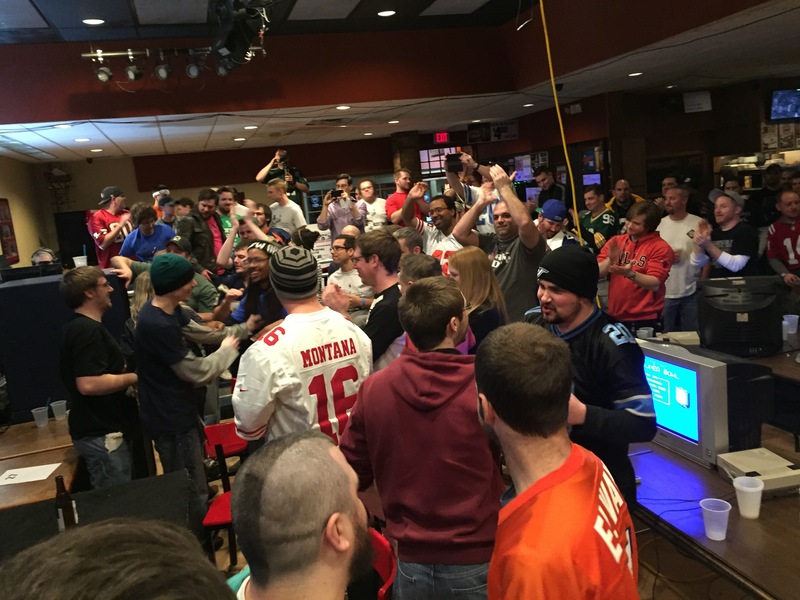 This past February, Mike and I traveled to Madison, Wisconsin to participate in the world’s biggest Tecmo Super Bowl Tournament (the Super Bowl of Tecmo Super Bowl, if you will) along with more than 250 others. Unfortunately, my performance did not live up to my hopes. In the first game, I lost the coin toss, which meant that my opponent got to select the matchup. He selected Bears-Chiefs, which are both teams that Mike typically uses. I played with the Bears and had a lead early on, but lost 28-23. In my next game, I won the coin toss and selected the matchup of Vikings-Dolphins with the hope that my opponent would choose the Dolphins, but he went with the Vikings. Again, I had a lead early, but I had a field goal blocked in regulation and another one blocked in overtime in a game I lost 13-7. Mike had a much better showing. His Rams defeated well-known Tecmo player Matt K. (Knobbe)’s Redskins 21-7 in his opening game. He then lost 35-7 as the Redskins going up against the Chargers. Next he won 31-7 as the Giants against the Eagles. Finally, in a rematch against Knobbe, Mike’s Jets lost to the Rams 24-17. 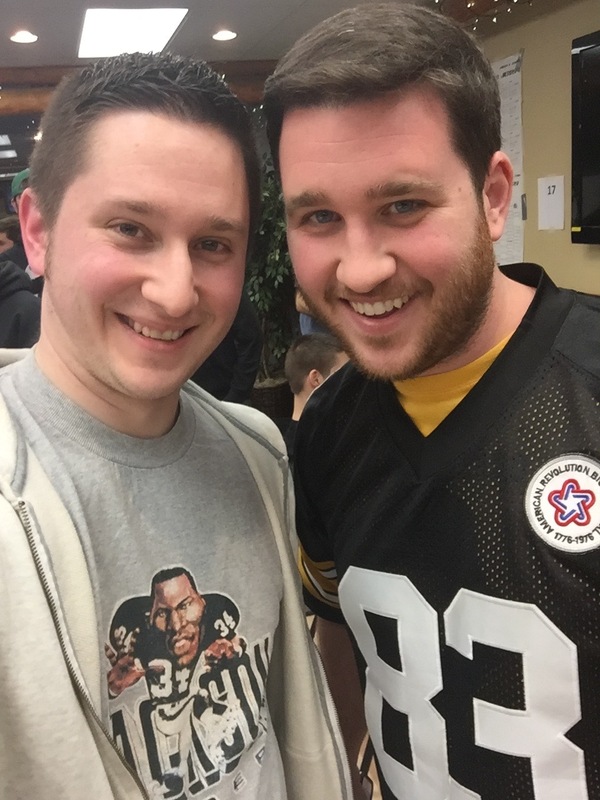 Although neither one of us made it out of pool play, competing in Tecmo Madison XII was a dream come true. 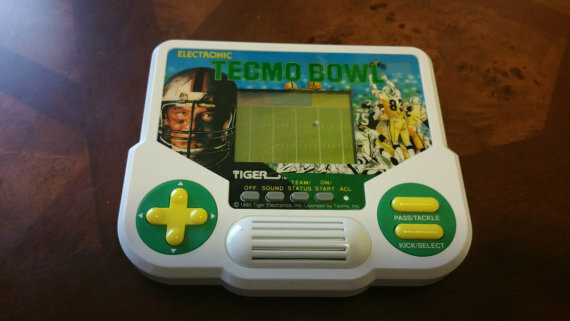 I don’t know if we will ever compete in another tournament like that again, but I have no doubt that we will be playing Tecmo Super Bowl for many years to come.